Earlier this month, MoviePass CEO Mitch Lowe told Business Insider that charging theatres and studios more for marketing was a way to generate revenue that fit with industry norms. The company, however, earned less revenue from marketing and promotions in the second quarter of the year than it did in the first, according to the latest quarterly report from MoviePass’ owner, Helios and Matheson Analytics. 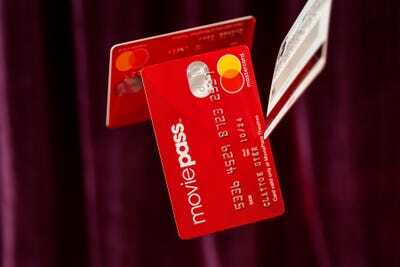 As MoviePass scrambles to keep the lights on, it seems one of the company’s new plans to earn more revenue hasn’t worked out as advertised. When the movie-ticket subscription service announced its most recent change – going from subscribers being allowed to see one movie a day to three movies a month – CEO Mitch Lowe told Business Insider that one of the plans going forward was to capitalise on the popularity of the service by arranging marketing deals with movie theatres and studios. Lowe acknowledged earlier this month that the company’s initial strategy of trying to get direct discounts on the millions of movie tickets it buys for subscribers wasn’t working. But he said he was confident that getting more for marketing titles on its app, the web, and social media made more sense. “We think we now have a way to do this that fits in with how business is done,” he said. But when MoviePass’ owner, Helios and Matheson Analytics,released its quarterly report to the Securities and Exchange Commission on Tuesday, it showed that marketing revenue had not been on the rise. In fact, it was falling. For the second quarter of 2018, Helios and Matheson snagged revenue of $US935,488 from marketing and promotional services. That’s over $US500,000 less than what it earned in the first quarter ($US1,440,910). And it’s not because fewer people are becoming members of the service. Subscription revenue spiked in the second quarter to $US72.4 million (in the first quarter it was $US47.1 million). But for MoviePass, that subscription growth only means more full-price tickets it has to pay for. Despite MoviePass’ claim that it’s responsible for 6% of the box office this year, its financials suggest it hasn’t been able to turn that popularity into marketing dollars. MoviePass was not immediately available for comment to Business Insider.